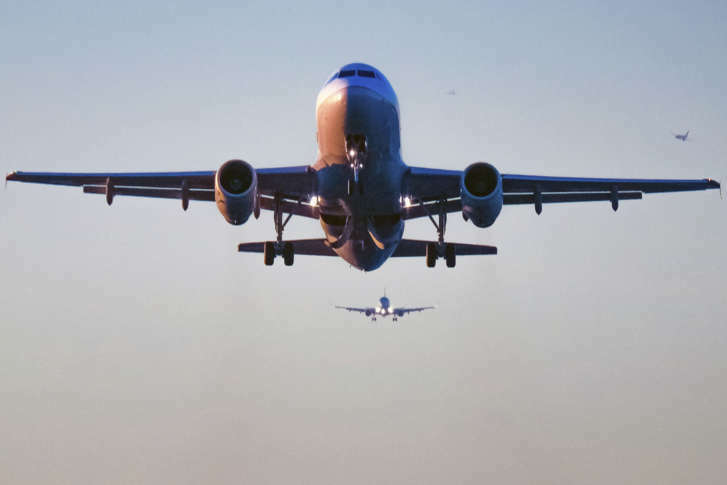 WASHINGTON — Fairfax County, Virginia, officials say progress is being made to reduce airplane noise from flights heading out of Reagan National Airport. The Board of Supervisors authorized sending a letter this week to the Washington Metropolitan Airports Authority praising its work. It comes as a plan to reduce noise from departing flights starts to become reality. The plan would have departing “south flow” flights — flights that head out of the airport toward Alexandria, Virginia, and Fort Washington, Maryland — stay over the Potomac River longer and eventually turn over land when they are at higher altitudes. Fairfax County Supervisor Dan Storck told the board at Tuesday’s meeting the FAA has some technical work to do before it is handed off to MWAA. Flights would test the new pattern as early as this November. The full plan could be implemented by November 2018. However, work still needs to be done on inbound flights, which Storck said accounted for 60 percent of “south flow” noise complaints. There is even less progress on “north flow” — flights coming in and out over areas that include Montgomery County, Georgetown and Rosslyn. Storck said there are several disagreements over how to get flight path adjustments made. Several Maryland officials — including Gov. Larry Hogan — suggested the FAA needs to be sued to correct the path.